Don't trouble Tony Lloyd with anything. He won't even investigate. 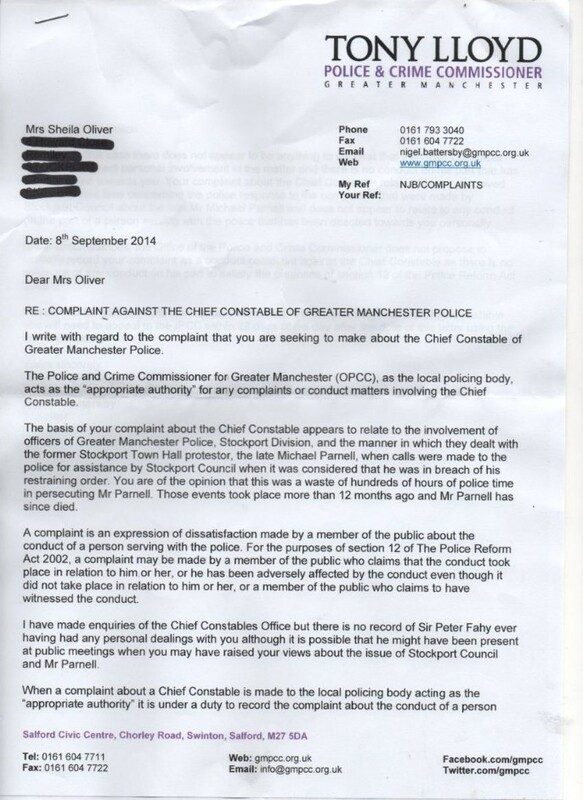 Chief Constable Fahy was informed dozens if not hundreds of times of what was being done to Mr Parnell RIP. 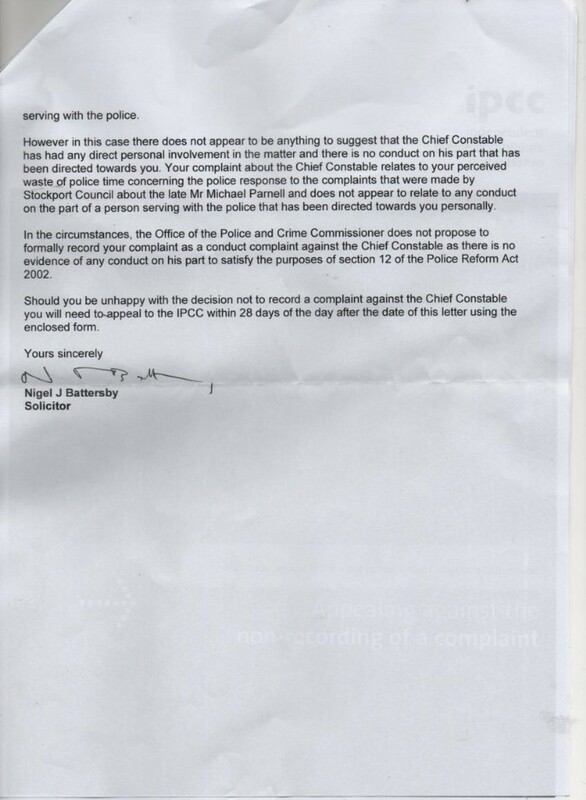 I even had lots of (useless) replies from Nigel Battersby about the matter.